I wear jeans five times a week, and although I have a few ways to add more style to my denim outfits, I still find myself searching for that "perfect" top to wear with them. It sounds like a simple item, but I kept wondering why I hadn't yet found The One. So I went searching. 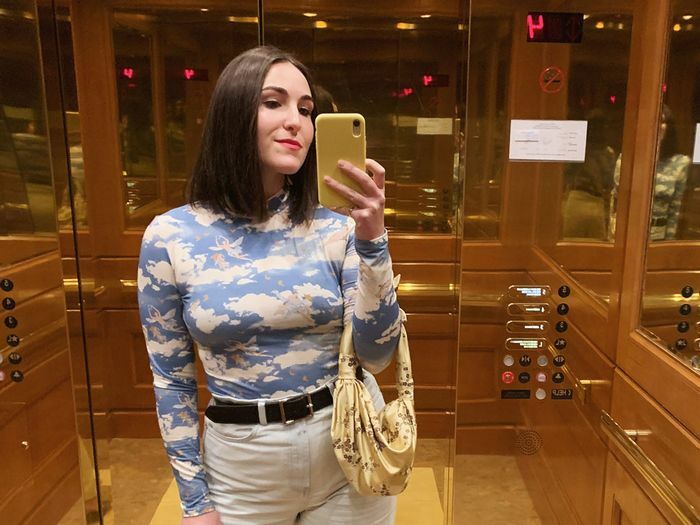 I tried a dozen different tops, some printed, some with interesting necklines, and some with back cutouts, all in the hope of one day being able to throw one of them on with jeans and call it a day. There are a few boxes this ideal top needed to check off. For starters, it has to speak for itself. In other words, I was looking for a top that's enough of a statement piece to where I need not overthink the rest of my outfit. I want to be able to throw on my favorite pair of jeans with said top and voilà—it's a full look. On top of that, it has to be somewhat versatile. I should be able to wear it to grab coffee in the morning and go on a date later in the evening. Is such a top starting to sound like a myth? 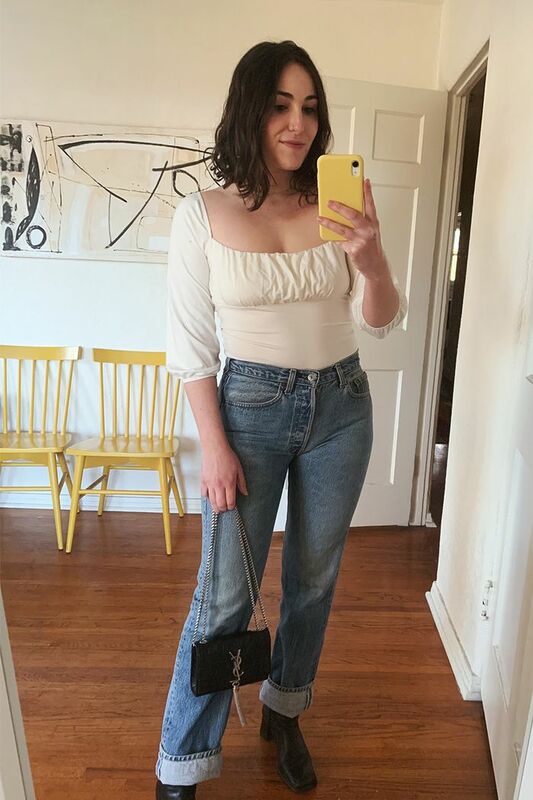 I thought so too until, after some trial and error, I found five of the best tops for jeans that actually live up to the idea of perfection. Keep reading to see how I'm styling my new go-to tops and shop them too. If one top could embody everything I was looking for in a perfect piece, this would be it. From the pretty neckline to the subtle balloon sleeves, this top is a total 10 in my book. From the front, this looks like a simple knit tee with a contrasting turtleneck. But it's the back that really does all the talking. I love this one because it's perfectly minimal but still kind of unexpected. With a print as (literally) dreamy as this one, I'll never reach for another plain turtleneck tee ever again. I'm convinced that Karla Deras's The Line By K sews a bit of magic into each of its pieces. They're all perfectly feminine and easygoing like the Stevie top I'm wearing here. I also really love this thinly striped turtleneck. As seen above, I styled it with a slip skirt, though I plan to wear it with my favorite pair of jeans next. Next, the perfect spring shoes from everyone's favorite It brand.